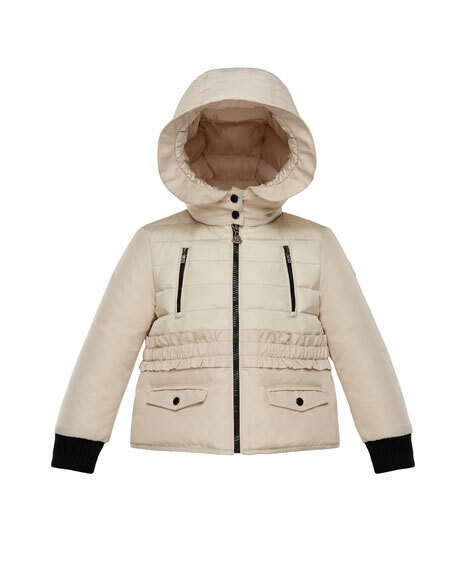 Moncler "Adonise" two-tone quilted jacket. Vertical zip pockets at chest. Outer self and lower lining: polyester/cotton. Outer upper, lining, and hood lining: nylon. For in-store inquiries, use sku #2660682.